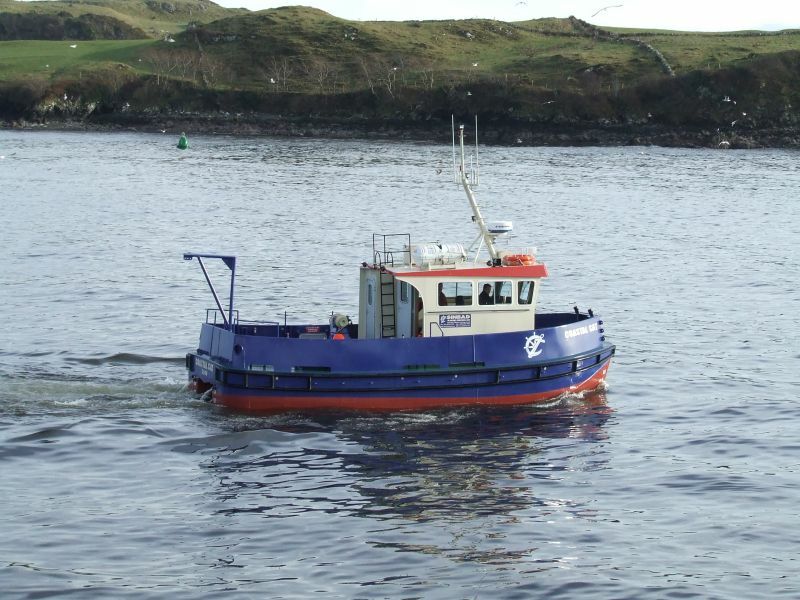 The vessel was designed and built as a multi purpose workboat and originally was being used primarily as a survey vessel. The vessel was built specifically for Sinbad Marine Services Ltd based in Killybegs Ireland. 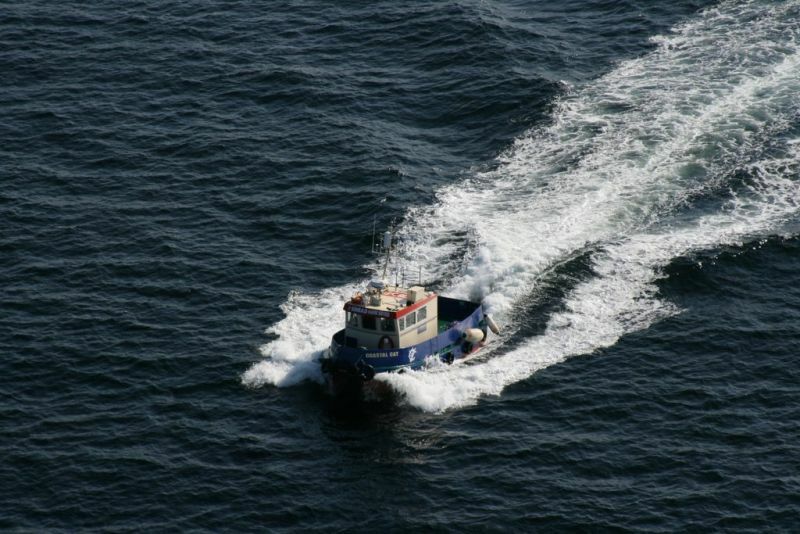 This vessel can also be used as a crew transfer vessel and is licensed to carry 12 passengers and 2 crew. 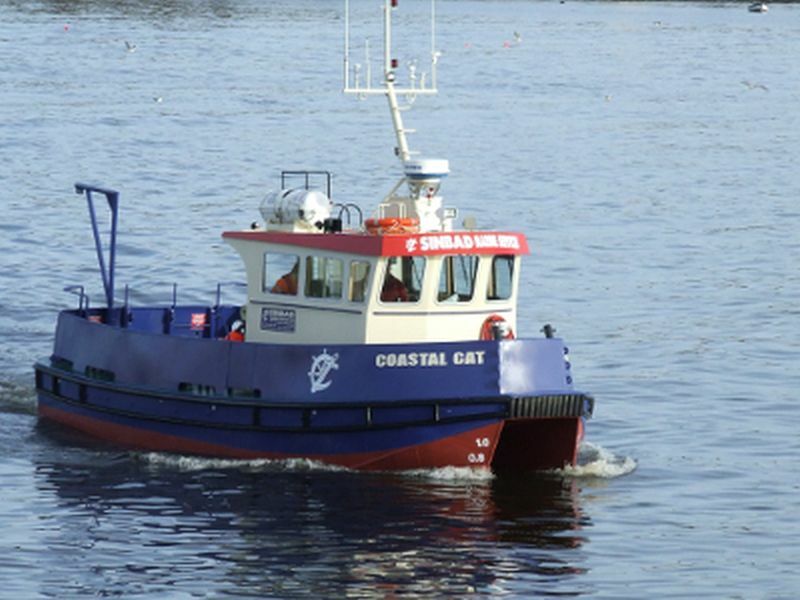 Other functions which the vessel was fitted out for were Oil pollution control, Offshore windfarm support, Bird/Whale watching etc. This particular has also been was fitted out with fire fighting capabilities and fuel transfer at sea. 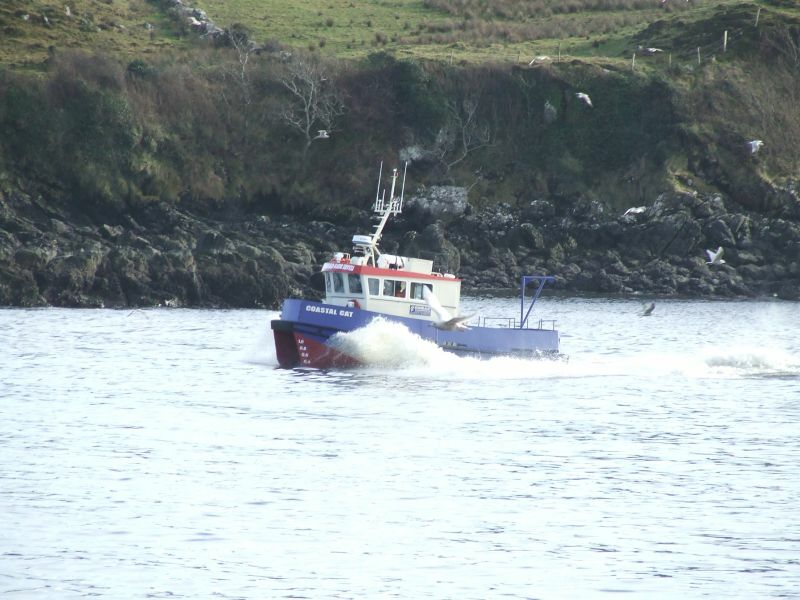 Sinbad Marine Services Ltd had the vessel hired out to Shell in 2008 where she was being used for oil pollution control on the Corrib Gas line project of the Mayo Coast in Ireland. 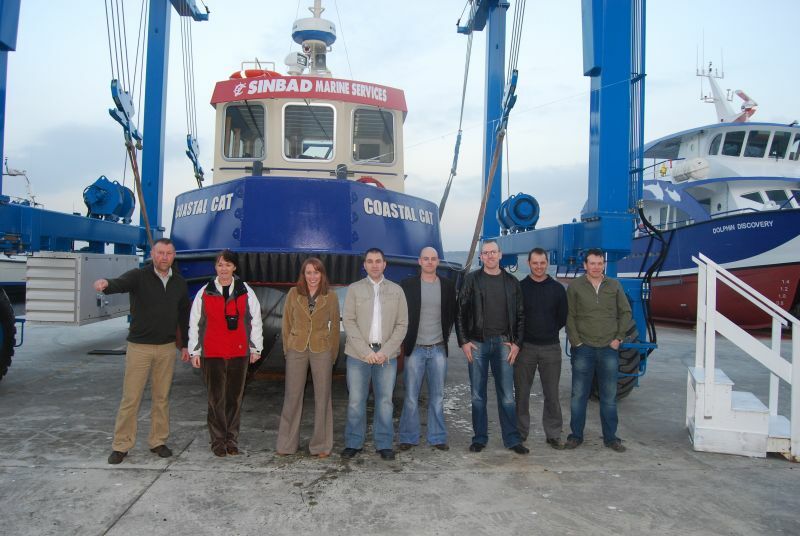 In September 2008 Sinbad Marine Services sold this vessel to South Africa where she is being used for similar duties. As part of the sale the vessel was brought up to BV classification in our yard before delivery. The hull was constructed from 8mm 5083 H111 marine grade Aluminium. Each of the 2 hulls has 4 watertight compartments. The frames are running longitudinally with transverse bulkheads. Each compartment has separate access, which has been fitted with Baier Flush mounted deck hatched which Mooney Boats Ltd has now become a distributor for. The hull formation has a fine entry forward developing into medium dead rise single chine hulls aft. The main deck has stepped in bulwarks 200mm from outside of main hull. 3 removable guardrail doors have been provided PT, Stb & aft of wheelhouse to allow for crew changes. There has also been a steeped bow rail forward to allow for crew changes. 2 rows of heavy D fendering have been provided on both sides and bow and stern are also protected by fendering. Internally the vessel has been fitted out to a very high standard. 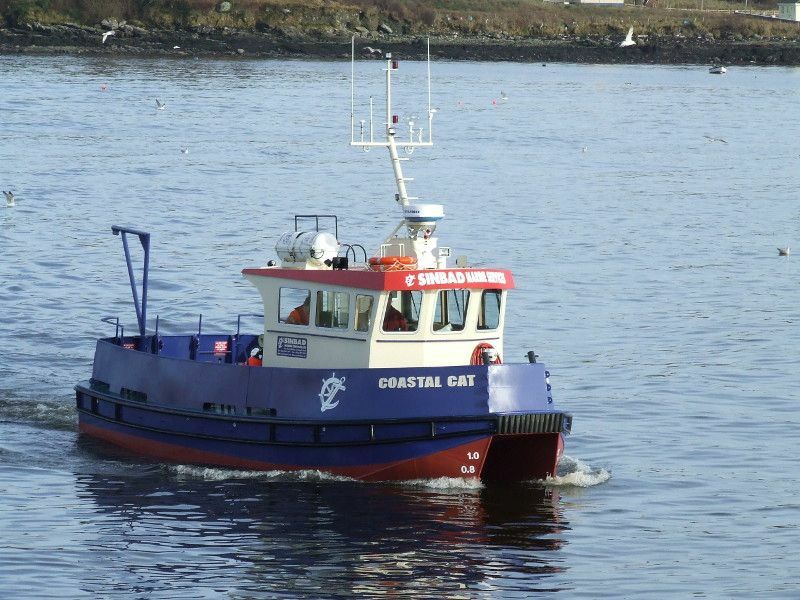 Acoustic and fire Insulation has been installed, A60 insulation to Engine rooms as per instructions from M.S.O & Comfort insulation was fitted to the wheelhouse bulkheads and ceiling and also sound insulation fitted the both void spaces under wheelhouse. 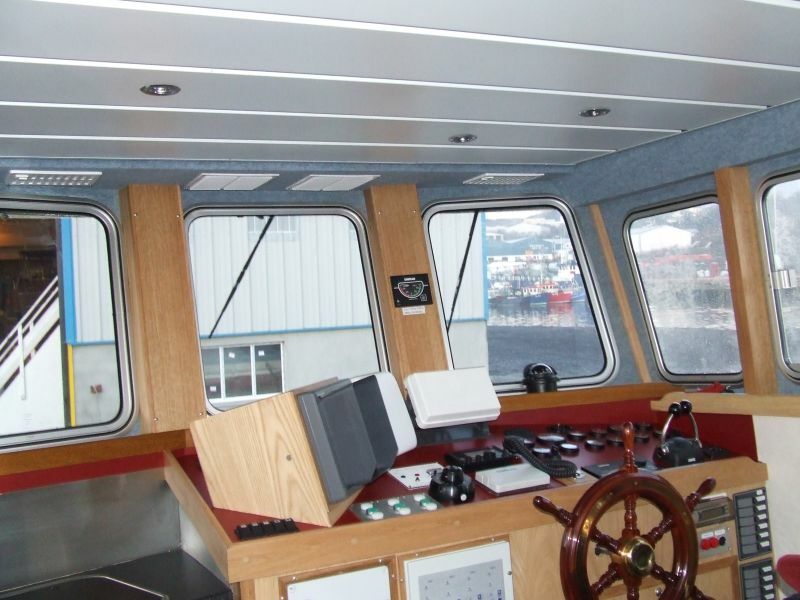 The interior of the wheelhouse was lined with Inexa panelling system and ceiling was lined with Dampa panelling system. The console is Marine Formica faced plywood and finished in solid oak Harwood Windows & Doors are Series 11 clamped in aluminium frames and glazed with 8 – 10mm clear toughened safety glass. 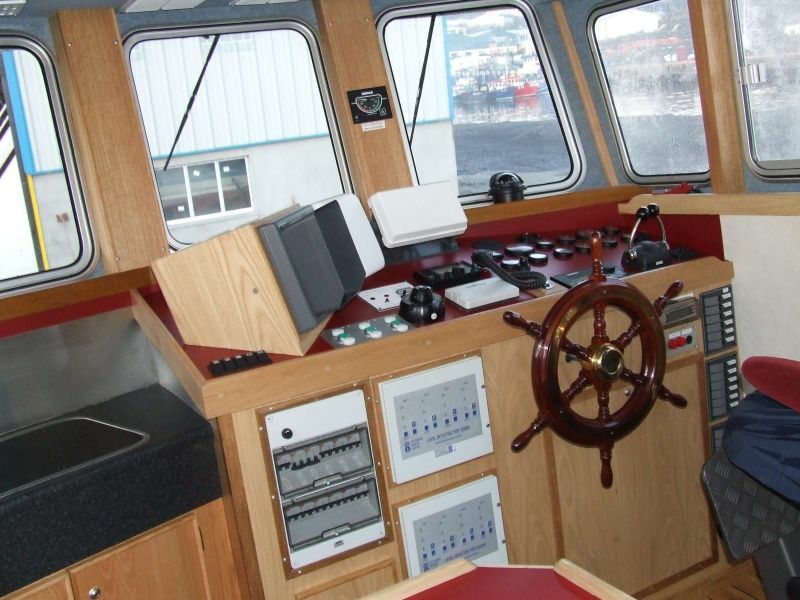 The wheelhouse has a galley sink incorporated into consol and seating for 6 around a demountable table. The W.H electronic equipment was supplied by Barry Electronics Ltd. 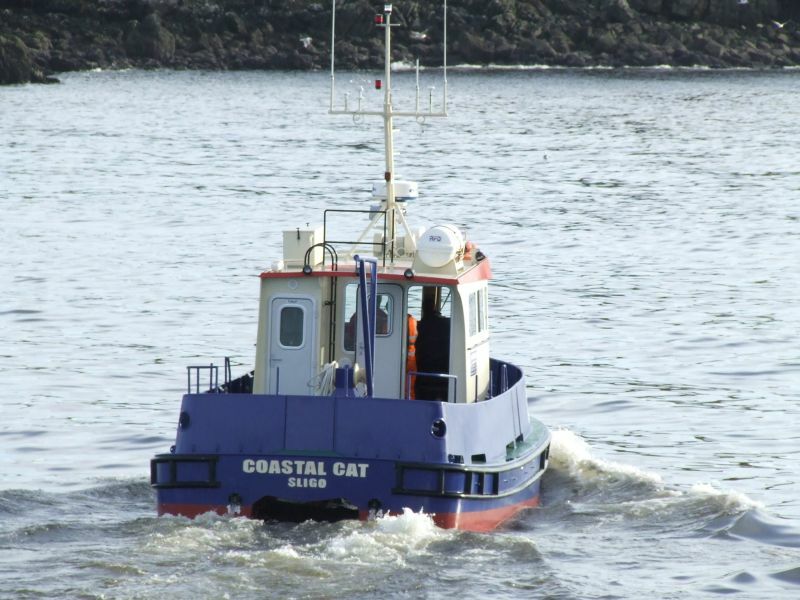 The other electrical systems on the vessel are quite substantial with a 3000 watt sine wave inverter which gives the vessel the option of running 220 volt power for computers and lap tops for survey work which is the market she is being aimed at. 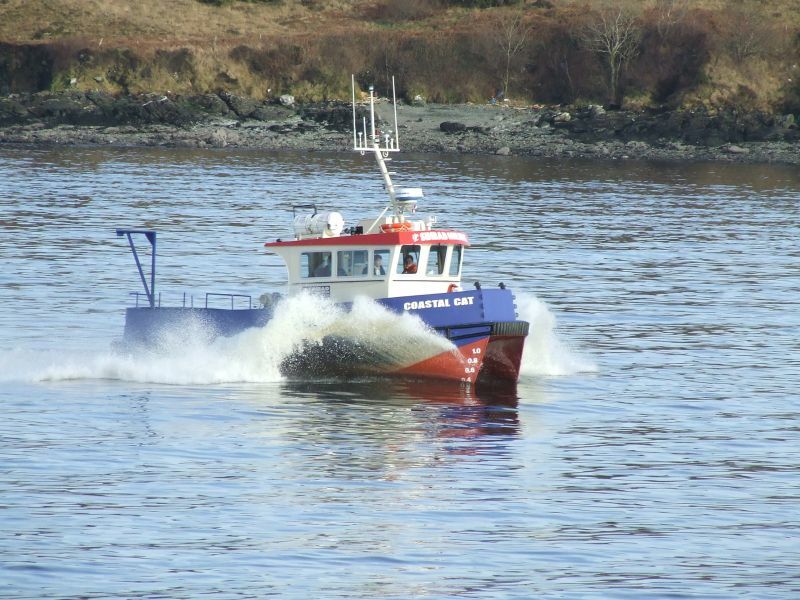 She also has 24 volt and 12 volt electrical sockets supplied in wheelhouse. 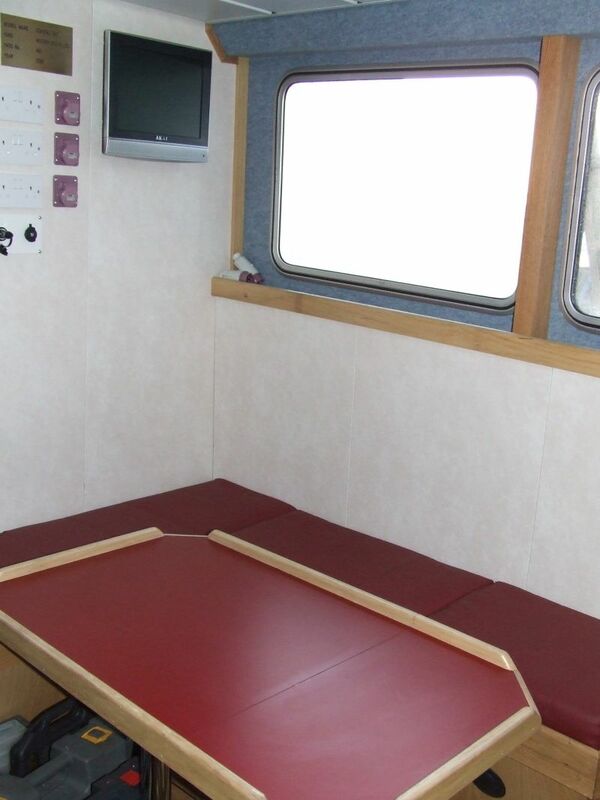 On the aft B.H of the wheelhouse there is a removable hatch which allows the survey team to sit inside in comfort and have there equipment motoring through the moon pool directly out side after B.H. The moonpool is also another unuique feature in the vessel and can be covered up when not in use with a purpose built aluminum section which fits into the hull shape. For crew comfort the vessel is fitted with flat screen TV, Sound System, hot air blow heaters which are also piped around windows to keep them from steaming up in damp days. The floor has been lined with oak laminated decking and a Nor Sap 1000 helm seat has been fitted to keep the captain happy. 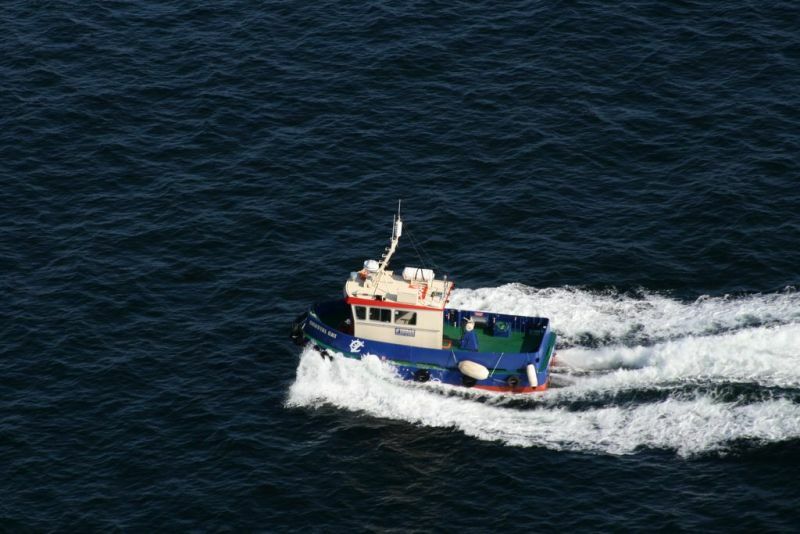 The vessel is fitted with 2 x Volvo Penta D 4 180 main engines developing 180hp at 2800rpm. The engines are coupled to ZF 63A Gearboxes 2.52 : 1 reduction. In turn these drive 2 “ S/S prop shafts twin tapered. Cutlass bearing aft and ally tube and Sureseal. Propellers are 26 x 21 x 4 blade hyperform. Rudder blades and shafts are S/S. The exhaust system is wet piped through to discharge on transom. 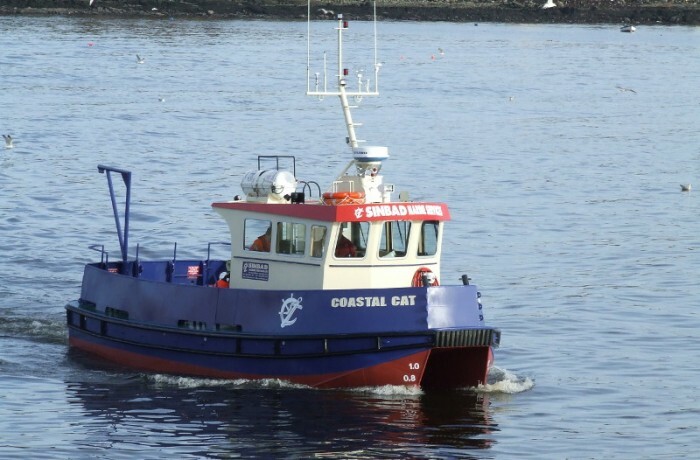 The electronic engine controls have been fitted with a wander led also supplied which allows the vessel to be controlled outside the helm position. The Hydraulic steering system is power assisted x 24 Volt motor. 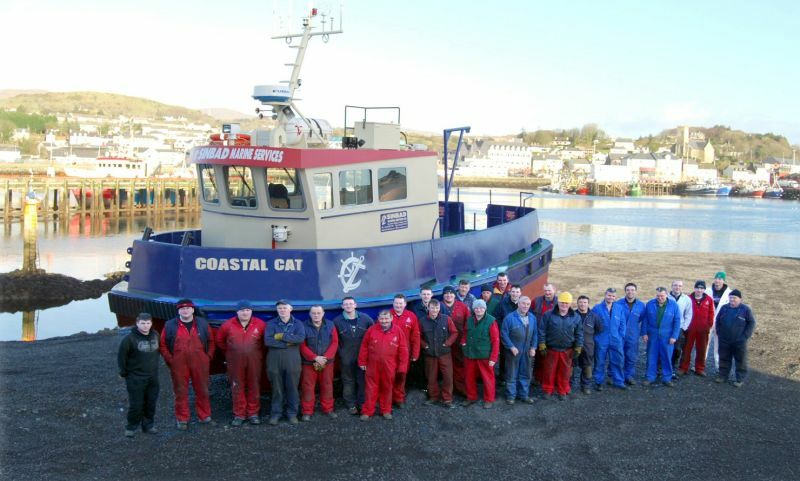 The deck is fitted with a 1 x 2-ton capstan which was custom built by Mooney Boats Ltd. We needed to keep the vessel light so the capstan was made from aluminium and nylon sheeves were fitted also to keep weight down. 1 x 500kg rotating lifting davit was also fitted. 4 x lifting lugs on deck have been provided to facilitate lifting of vessel with crane. The mast is demountable also which makes the vessel road transportable. 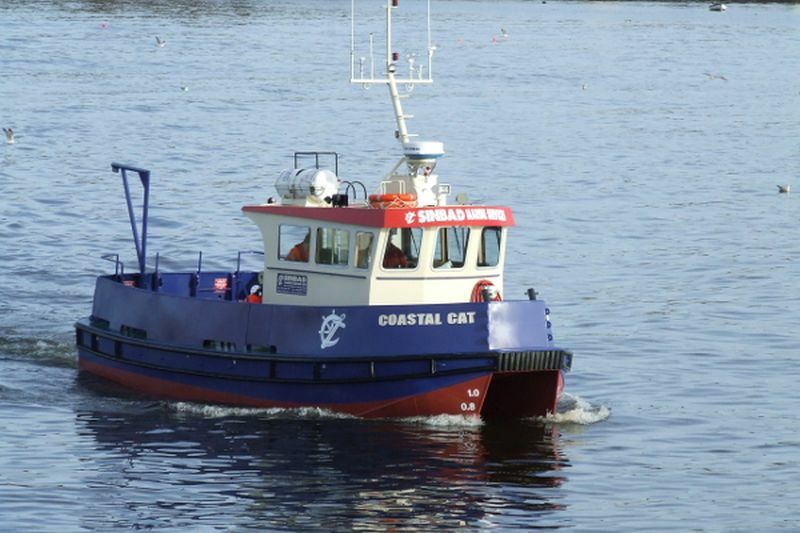 Other electrical items on the vessel are as follows 1 x remote control search light, 3 x Window wiper, 1 x Fog horn, all Navigation lights required by M.S.O., 6 x Deck lights, 2 x Engine room lights, 2 x steering room lights, 2 x storage room lights, 6 x L.E.D wheelhouse internal lights. 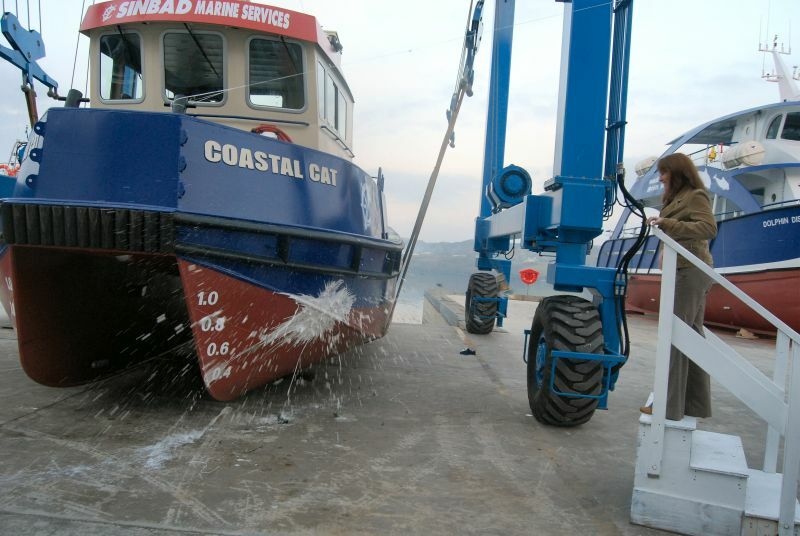 The vessel is also fitted with CO2 system for engine rooms and all other fire fighting equipment required by the M.S.O. Again Lifesaving is also to meet the requiremnts of the M.S.O. Each watertight compartment will be fitted with a remote operated 24volt electric bilge pumps Rule 2000 and a high-level bilge alarm. In addition a manually operated bilge pump is fitted as in accordance with the M.S.O. requirements. A Gusher 30 hand emergency fire ump is also fitted. In the pt engine room a Jabsco 1.5” electromagnetic deck wash pump is also fitted. An audio/visual bilge alarm system installed in wheelhouse. 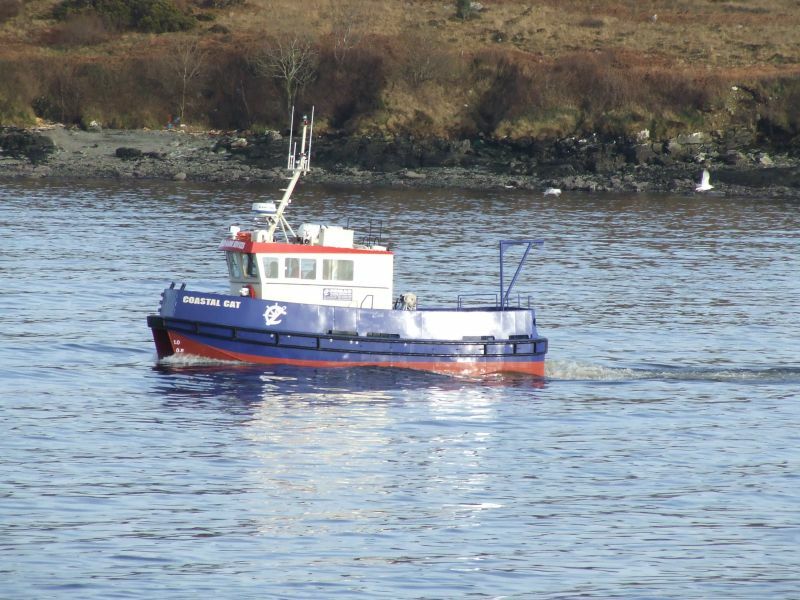 The vessel is painted with an approved Jotun paint system and Cathodic Protection is MG Duff. 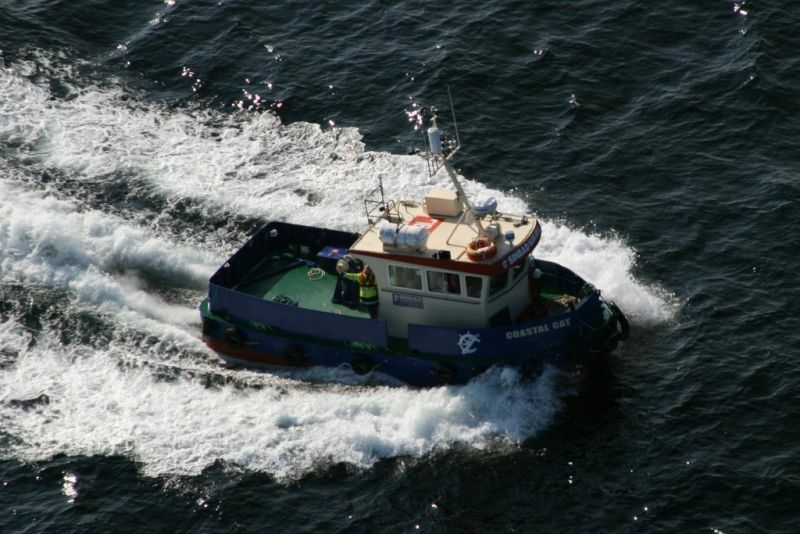 Vessel was Sea Trial on the 8th February 2008 achieving a top speed of 14.8 knots & Bollard pull of 3 Ton. 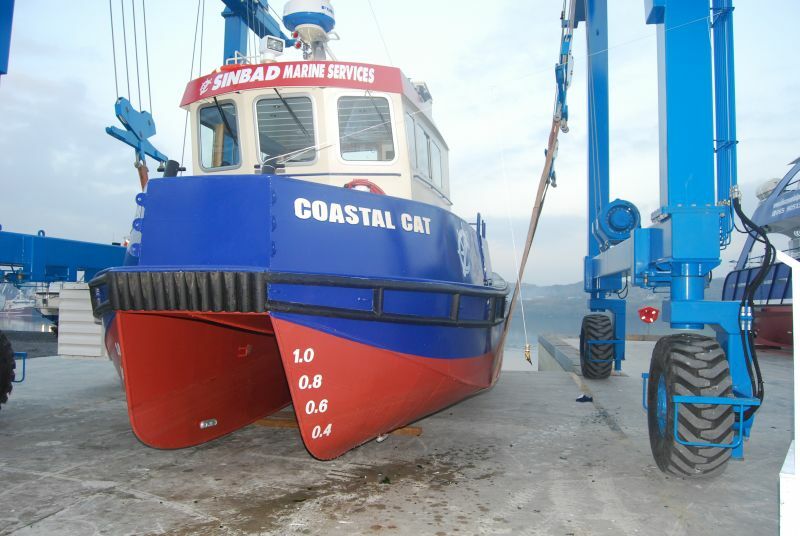 For any further information please contact Mooney Boats Ltd.